St. Petersburg is home to many “bests,” but when it comes to distilling, one stands out among the rest. St. Petersburg Distillery has been producing spirits in the Sunshine City since 2014 with a vision of taking the spirit of their hometown all over the country and the world. St. Petersburg Distillery patiently crafts a wide range of award-winning spirits, including whiskey, rum, gin, liqueur, and vodka. In 2015, five awards from Wine and Spirits Wholesalers of America (WSWA) were won by the distillery, including two Best of Show (Old St. Pete Artisanal Vodka and Tippler’s Orange Liqueur), two Double Gold Medals (Old St. Pete Artisanal Vodka and Tippler’s Orange Liqueur), and a Silver Medal (Old St. Pete Sweet Corn Whiskey). 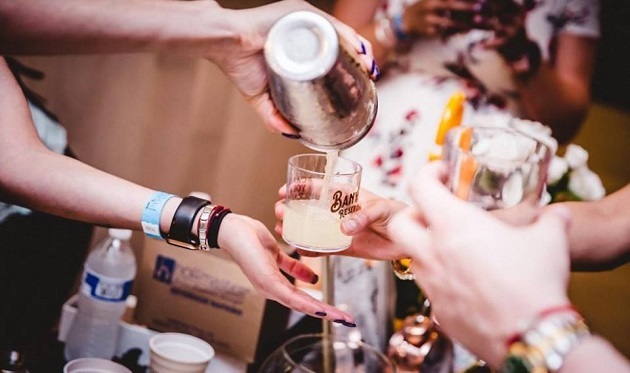 One of St. Petersburg Distillery’s brands in particular, Banyan Reserve Vodka, has carved out quite a name for itself in the industry with its robust and complex flavor with a hint of corn sweetness and a long finish. It's a great tasting vodka at an affordable price. The ingredients of this artisanal vodka reflect St. Petersburg Distillery’s love for local flavor. Banyan Reserve Vodka is made from the purest Florida water and 100% American corn, and it pairs seamlessly with locally sourced ingredients like Florida citrus or honey to create the perfect cocktail. Banyan Reserve Vodka is traditionally column and copper pot distilled six times, then run through a unique 8x charcoal filtration system, ensuring that anyone who picks up a bottle will enjoy a consistently smooth, clean taste. Their patent production process has not gone unnoticed by spirit connoisseurs both near and far. Banyan Reserve Vodka has received numerous accolades since its inception, perhaps the most noteworthy being named the South’s best artisan vodka by Southern Living Magazine in their 2016 Food Awards. Dominic Lafrate Sr., founding member of the St. Petersburg Distillery, shared that “having our Banyan Reserve Vodka named the best vodka in the South by Southern Living isn’t just a win for St. Petersburg Distillery. It is a win for the city, and a testament to the artisanal spirit of our local business owners.” Aligning with the local spirit of St. Pete and the nature of their vision for their company’s future, the distillery recently received the 2018 Makers & Creators Good ‘Burger Award, which recognizes the business’s positive impact as a creator in St. Petersburg’s community. In addition to its outstanding accolade from Southern Living, Banyan Reserve Vodka also received a bronze medal from the International Tasting Review in 2016, and a score of 92 from the Ultimate Spirits Challenge in 2017. Most recently, at the American Distilling Institute’s 12th annual Judging of Craft Spirits, Banyan Reserve Vodka took home a bronze medal in the rectified vodka category, as well as a silver medal for its vintage-style packaging. To find out what all of the Banyan Reserve Vodka buzz is about, browse where to find the award-winning spirit. Whether you’re heading to a Tampa Bay area restaurant, craft cocktail bar, or picking up a bottle to be your own bartender, you won’t be disappointed! It's a great tasting vodka at an affordable price. Want to make sure you don’t miss any news about the distilling and craft cocktail scene in Pinellas? Be sure to connect with 727area to stay in the loop!